Returning to Atlanta for the first time as a visitor in 2006, Leo Mazzone hardly knew how to get to the visitor's clubhouse. Mazzone had been the Braves' pitching coach since 1990, achieving legendary status as his pitching staff itself became legendary. "You look at this stadium, you look ... I have some of the greatest memories in the world that have been provided to me by the Atlanta Braves," Mazzone told the Associated Press before that June 30, 2006 game. "That will never go away. They all come back when you walk in the stadium. If you think I don't feel awkward sitting in this dugout right now, I do." 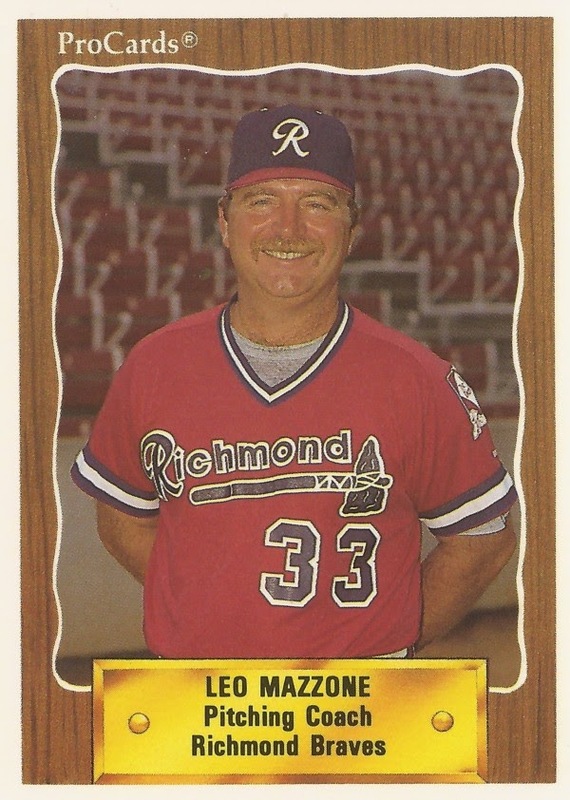 Mazzone wasn't always a legendary pitching coach. He was once a minor league pitcher, coach and manager. Mazzone played in the minors between 1967 and 1975, never making the majors. By 1978, Mazzone was a manager, of the independent Kinston Eagles, dispensing his thoughts on how his players could get to the majors. "Everybody out there wants to make it to the big leagues," Mazzone told the Associated Press in a July 1978 article. "If they don't, they're in the wrong business." Mazzone signed on with the Braves organization the next year, in 1979. He made it to Atlanta briefly in 1985 as a pitching coach, returning to the minors the next year. He became pitching coach at AAA Richmond in 1988. It was mid-year 1990 that Mazzone returned to Atlanta for good. With his famed rock, Mazzone shepherded a pitching staff that would include Tom Glavine, John Smoltz and Greg Maddux to 14 straight division titles. He jumped to Baltimore in 2006, joining his long-time friend Sam Perlozzo with the Orioles. But he couldn't do with the Orioles what he did with the Braves. He was fired after two seasons. But there was no doubting Mazzone's resume. "There are those who suggest Mazzone's success is based more on good fortune than anything else," ESPN.com's Jeff Merron wrote in September 2005, before Mazzone's departure to Baltimore. Merron noted the list of top pitchers Mazzone coached. "But the fact is this: Most pitchers get better when they join the Braves, and many get worse after they depart."